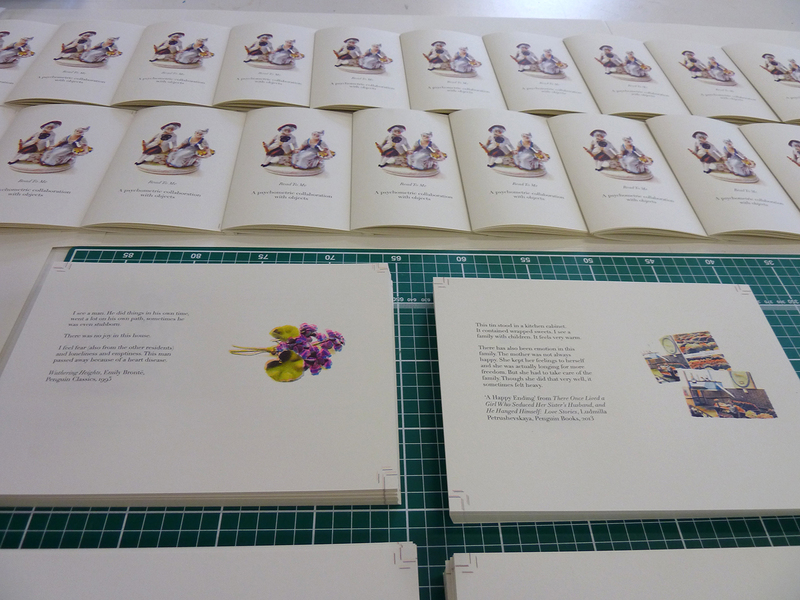 Sarah was at LCBA in early July to make a new edition of an artist’s book, Read to Me. 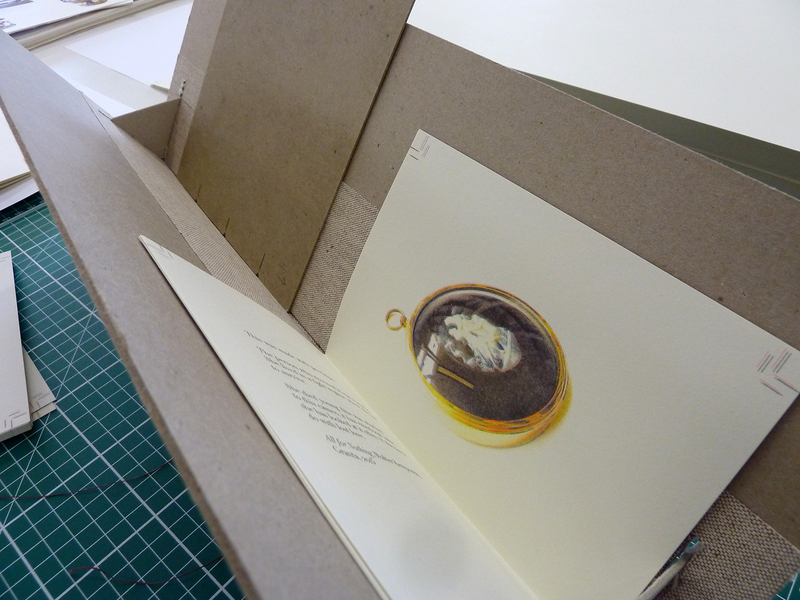 The edition was risograph printed in LCBA’s studios as part of the A6 books project. 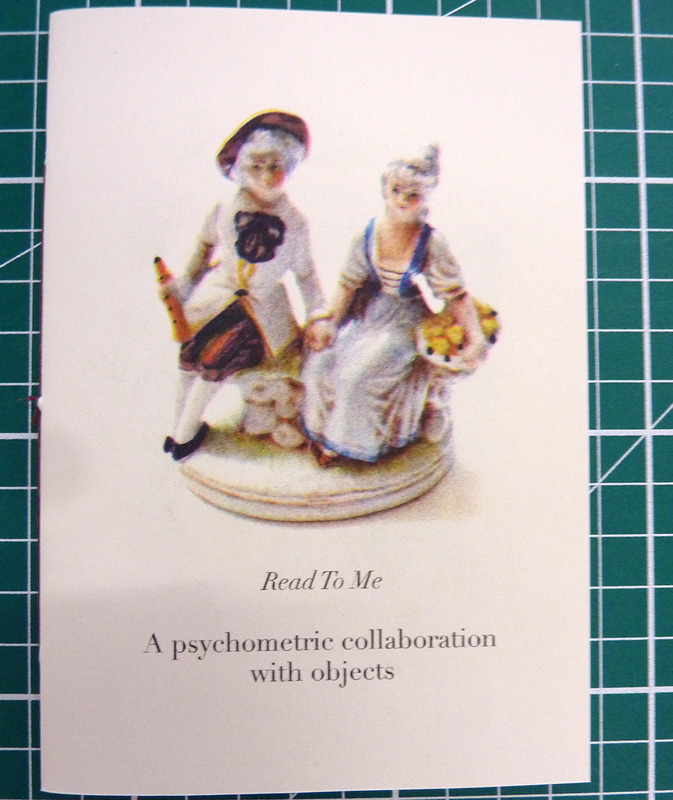 Read To Me is an experiment made by the artist in collaboration with a psychometric reader, to transmit the emotional content of selected narratives through a series of physical objects. Ten objects were selected to read chapters of novels, or short stories to. They were then posted to the reader who relayed their messages back to the artist. 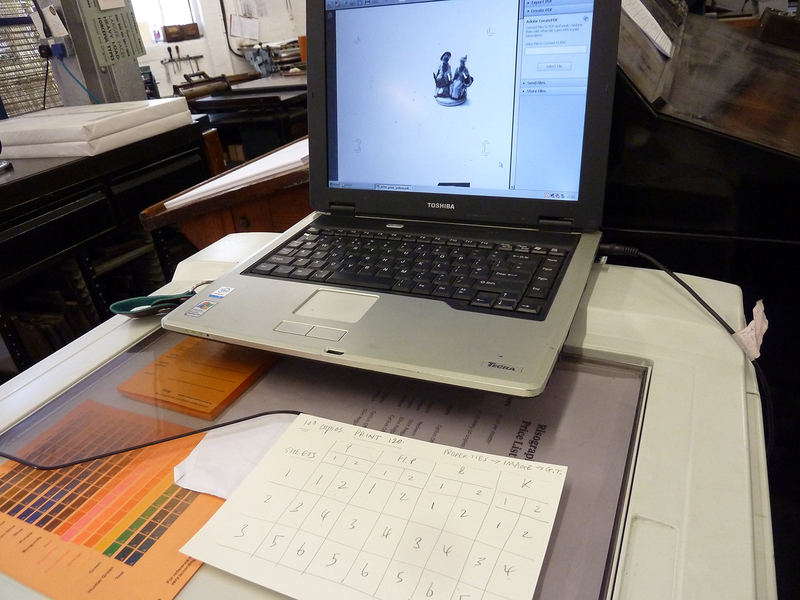 The idea for the experiment was initially inspired during a residency for The Marsh Test, at Visual Studies Workshop (VSW) in Rochester NY, USA in 2002. My fascination with psychic reading was piqued during the month spent at VSW. It was there that I read about the history of the (now discredited) Fox Sisters, who launched their careers as spirit mediums on 14 November 1849, at the Corinthian Hall in Rochester. As I sat at the table reading in the library and archive at VSW, I imagined that the Fox Sisters would have been at a similar table in a similar large mansion house over 150 years ago, thrilling their audiences with their tales of spirit encounters. Produced at the London Centre for Book Arts, 2018, four-colour risograph print (Cyan, Florescent Pink, Yellow, Black) with Esther McManus. 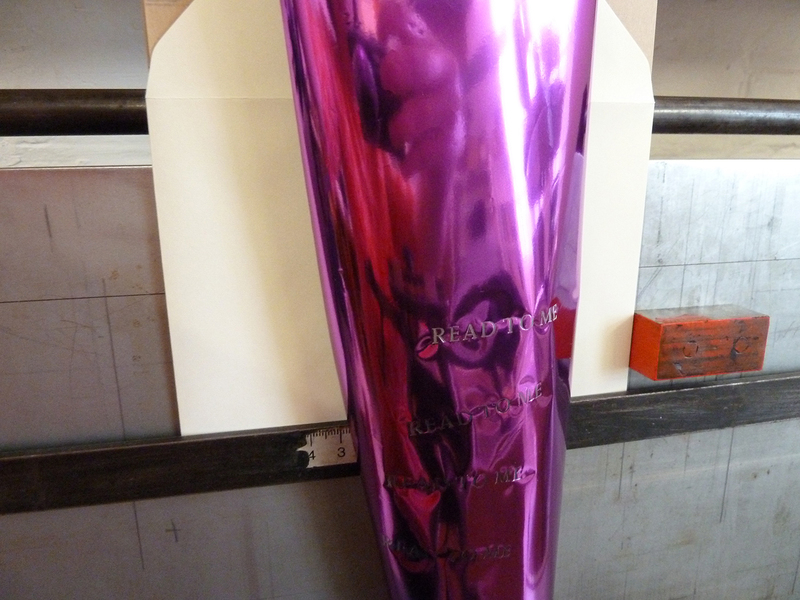 Printed on Redeem 130gsm recycled paper, saddle stitched, envelope with dark pink metallic foiled title in 16pt York type. 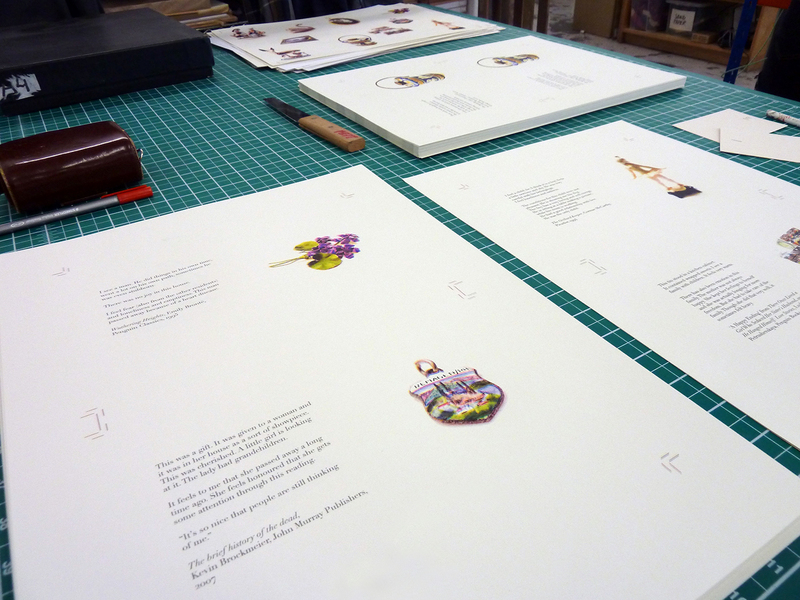 Edition of 100, July 2018, 20 pages, 105 x 148 mm. 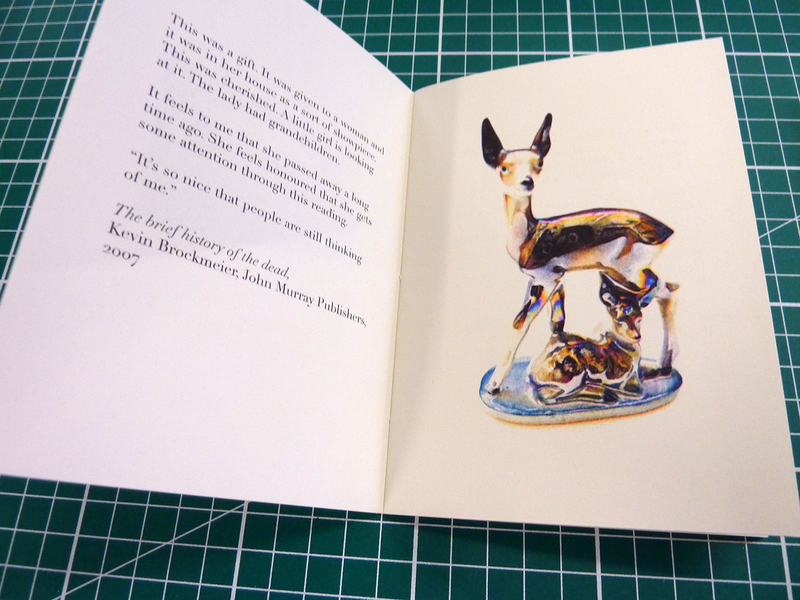 With thanks to Esther McManus, Simon Goode, Ira Yonemura, Daniel Lehan and George Cullen who all helped with the production of the book, and to Tom Abba for sponsoring the project. You can read more about the development of the project in a photo essay written for Axon: Creative Explorations, a free access online journal here. 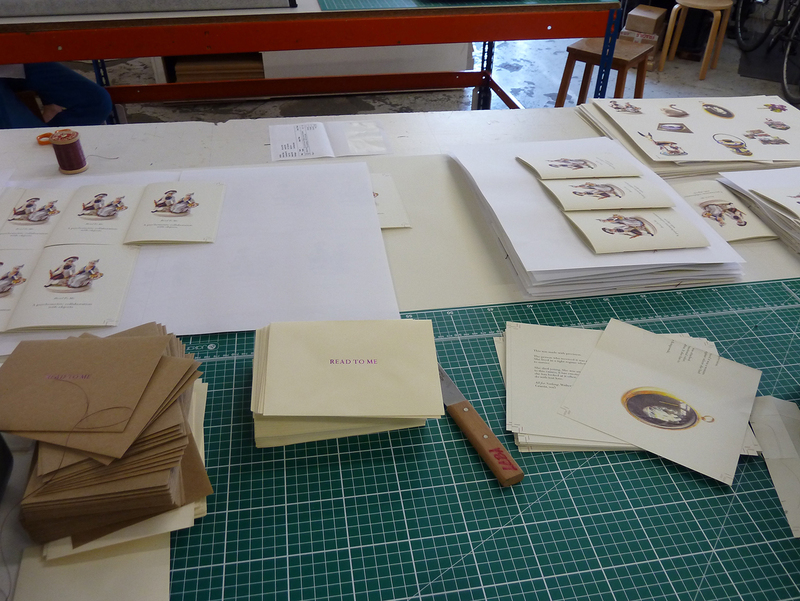 More information on the London Centre for Book Arts can be found here. Read To Me is touring with an exhibition of the book and a selection of the original objects which were read, from September 2018 – December 2019. The first venue is Visual Studies Workshop in Rochester, NY, from 9th September – 27th October 2018, which returns the original idea to the place of its inspiration. Other venues to date include: Winchester School of Art Library, UK; John M. Flaxman Library at the School of the Art Institute of Chicago, and the Collins Memorial Library at the University of Puget Sound, Tacoma, USA.